« We welcome artist Peggy Hinaekian to the gallery. 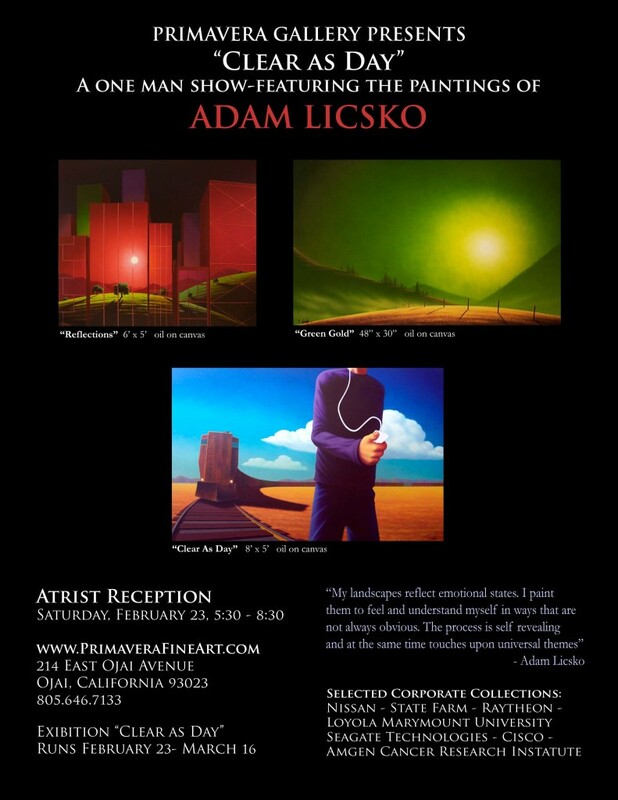 Primavera Gallery is proud to announce the opening of “Clear as Day”, an new exhibition of paintings by artist, Adam Licsko. Please join us at the artist reception on Saturday, February 23rd from 5:30 – 8:30. Exhibition runs from February 23 – March 16, 2013. Click here to see more of Adam Licsko’s work.